https://houston.bintheredumpthatusa.com/dumpster-rental-spring	Bin There Dump That Houston	https://houston.bintheredumpthatusa.com/img/franchisees/54.png	20730 Highland Hollow Lane,, Humble, TX	Contact us for more details. 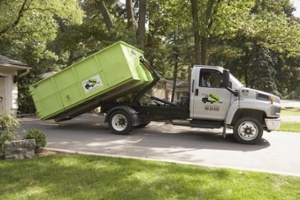 Discover how we make renting a dumpster in Spring, TX a simple and easy process. Bin There Dump That is committed to making the dumpster rental process for the customer a seamless transaction, from placing an order for the needed dumpster size to delivery of the waste container in Spring to an immediate pick up when you no longer need the bin on your driveway. Which size dumpster should I rent out? After months of grueling winter weather, the railroad workers were overjoyed with the blossoming of spring when their work ended. They were so glad the harsh winter and back-breaking work were over, they name the town after their favorite season. Camp Spring, as it used to be called, lives up to its name by providing locals with beautiful botanical gardens and plentiful parks. Spring is too beautiful of a city to stay inside waiting on dumpster rental services. Get out and enjoy everything Spring has to offer by hiring the best dumpster rental company around. Every day the Mercer Arboretum & Botanical Gardens provide Houston area locals with over 250 acres of pristinely manicured gardens. Take a stroll through the bamboo garden then catch wafts of fresh thyme and rosemary in the herb patch. You might even see some plants for the first time because the arboretum houses some of the rarest plants in the world in it's endangered species garden. Spring honors it's rich history by preserving the old town center. Rumor has it the town fell victim to infamous robbers Bonnie and Clyde after the railroad headquarters moved, taking most of the town with it. But Houston's oil boom has made Spring one of the best suburbs in America. With new merchants revitalizing the old buildings every day, you'd never guess it was once a danger of becoming a ghost town. Construction debris, appliances, food waster. Your local Dumpster Rental Spring dumpster rental operators are Ivan & Michelle And Tony & Sylvia.